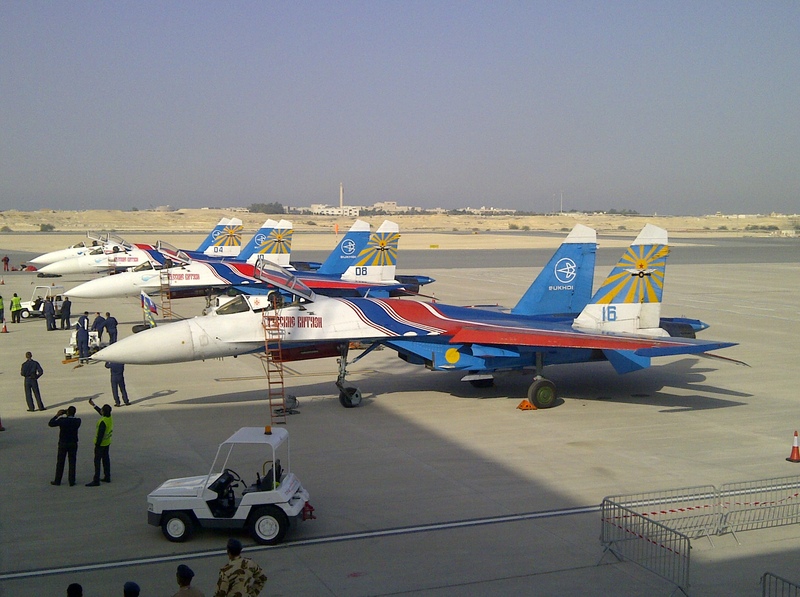 The day a Sukhoi Su27 was scrambled to intercept me! Some of you may remember a few years ago I was flying back from Lithuania with Clive Davidson in an L29 when we had bad weather and ran into trouble with the Russian authorities and in particular a Su 27 that tried to out-fly us… or more precisely fly us out of the sky! Long story short we were held in Russia when we managed to land at Kaliningrad and it was an ‘interesting’ little adventure — seeing one of these aircraft here today at the Bahrain International Airshow brought back memories of that trip but bear in mind when I took these photos I am about as far from it that he was from us with some of his flying that day! 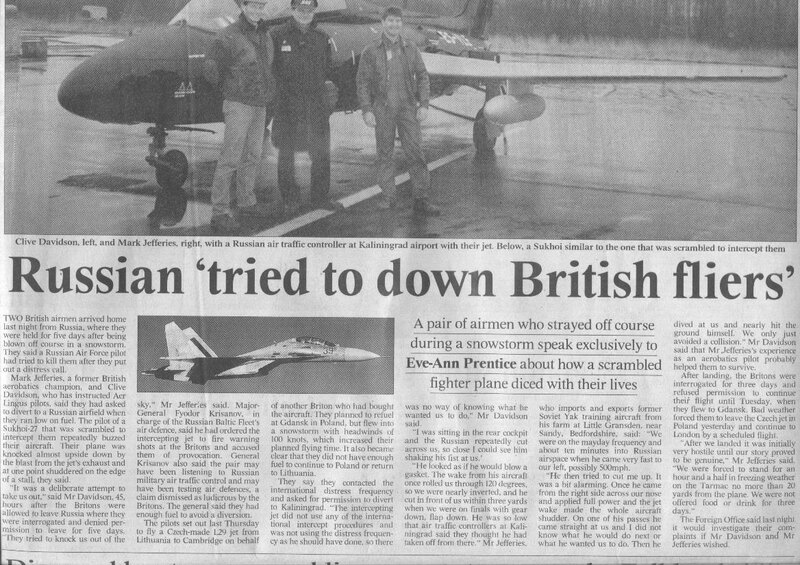 I’ve attached the original newspaper cutting from the time along with today’s picture of the SU27 from the Russian Knights display team aircraft.